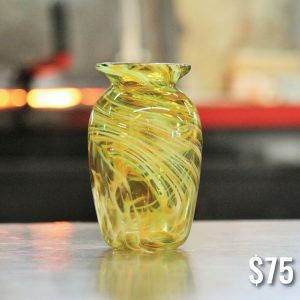 $40-$45: We make a handblown, custom Kiddush Cup for your ceremony. 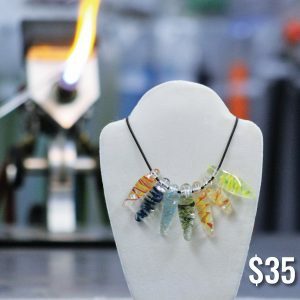 You can choose the colors for this piece. There will be a sandblasted Star of David on the surface of the cup. 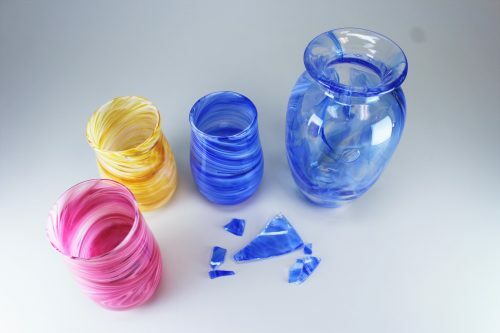 Kiddush Cups are $40 for one color or $45 for two colors. Colors include: gold, dark green, cobalt blue, teal blue, purple, pink. 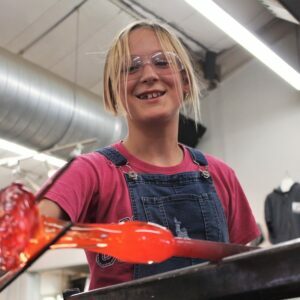 additional $100: You can make this process even more special by having the bride and groom (or family friend) assist in making the piece in our glassblowing studio. 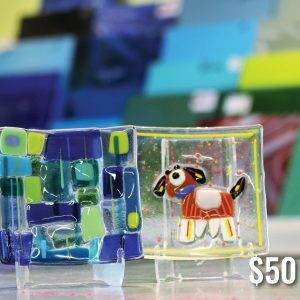 This is like a mini-class with one of our instructors that we call a Make Your Own Glass Art Experience. This experience can be done with with one or two people.